According to Achievement School District (ASD) officials, the national norming study includes students drawn from a test pool of 5.1 million students from over 13,000 schools in more than 2,700 school districts in 50 states. 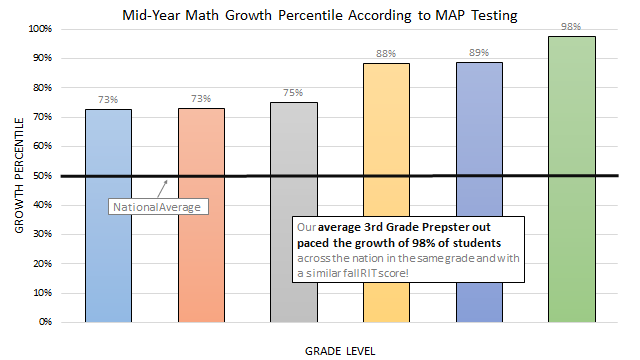 The academic growth of Cornerstone Prep far exceeds the national norm for students who began the year at a similar academic level, placing the school near the top 25 percent in the country in academic growth on the Measure of Academic Progress assessment (MAP). Cornerstone Prep students also excelled on the recent Tennessee Comprehensive Achievement Program (TCAP) assessment. Cornerstone Prep students showed an astounding 14.7 point increase over the prior year. 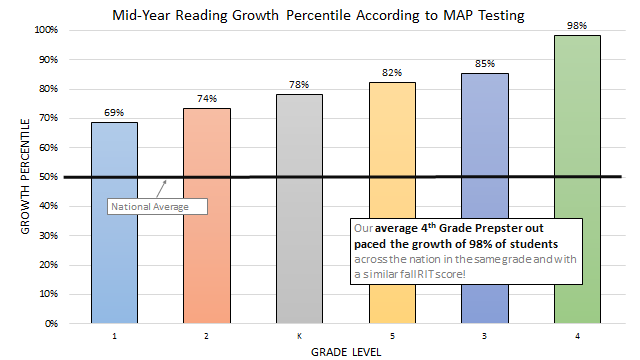 These scores drastically outpaced the state average increase of .6 percent in math and-.8 percent in RLA. Click here to see more data of test results! Cornerstone Prep will add grade six this year and grades seven and eight next year as the school expands to serve more of the families in the Binghampton community. For more information, click here to learn more about Cornerstone Prep.